Minutes from beaches and downtown, our apartment is in South Miami overlooking Biscayne Bay, within a magnificent brand new building with world-class amenities. The property features a beautiful reception lobby and has custom-made furnishings with spectacular city and ocean views from our 46th floor unit. A full width balcony, and floor-to-ceiling glass provide unobstructed views. Building amenities include concierge and valet services, private storage facilities, semi-private high speed elevators, private Cyber Center, a separate conference and communications facility with state-of-the-art business equipment and small meeting capability. 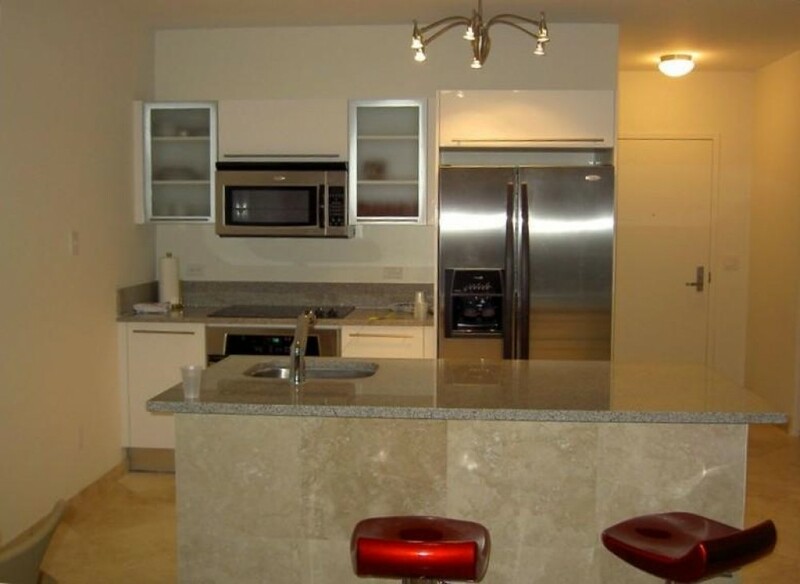 The condo is elegantly appointed with designer appliances. The fantastic Master Bath features marble throughout, a double sink vanity with raised sinks, and a resort-style shower and bathtub enclosed in glass. The condo also has a full capacity washer and dryer.